Many of us help ourselves to a glass of wine or two (or three) or smoke a little pot after coming home from a stressful day at work. Letting loose with a little bit of our substance of choice allows us to destress and unwind after a hectic day. Drinking also aids people in relaxing before or during high pressure social events and intimidating first dates. But when does responsible use cross over into abuse, followed by addiction? It can be a slippery slope, happening gradually without one even noticing. Two drinks at the end of the day becomes four, five or more until it begins affecting your work and relationships with friends and loved ones. Eventually, one may feel trapped and consumed by a reliance on alcohol or other drugs, without a means of escape. Yet, there’s always a way out. This guide was put together for those suffering from drug and alcohol addiction, as well as their loved ones. It includes information on how to recognize if you or someone you know has a problem, and includes information on treatment centers and a variety of other options in treating addiction. 1.0.1 Is addiction a disease? 1.0.2 Do I, or my loved ones suffer, from addiction? 1.0.3 When is it time to get help for addiction? 4 How many people require addiction treatment in the United States? 5 How successful are treatment centers? What is the relapse rate? 6 How many treatment centers are there in the U.S., per state? 7 What are the top rehab centers in the U.S.? 8 How much does the government spend on drug treatment? So yes, addiction IS a disease like any other, and not one to be ashamed of. Fortunately, like other diseases, treatment is available for those who seek it out. The first step is recognizing that there is a problem. Do I, or my loved ones suffer, from addiction? Many of us go through periods of overindulgence. The difference is that most people are able to recognize their periodic overuse of alcohol and drugs and pull back, while those suffering addiction are unwilling or unable to stop. Physical changes, such as weight gain, weight loss. Skin problems, like edema or psoriasis. Withdrawal symptoms such as shaky hands, insomnia or flu-like symptoms. Increase in dosage or consumption in order to achieve the desired effect. Pulling away from social obligations and relationships. Risky behavior, such as driving under the influence or putting oneself in dangerous situations in order to obtain drugs. Using in secret, at inappropriate times. Hiding drugs and alcohol away from others. If you or someone you know displays one or more of these behaviors, there may be a problem with addiction. Is there a difference between abuse and addiction? The Hazelden Betty Ford Foundation differentiates between abuse and addiction by stating that while abuse involves a pattern of drinking and/or drug use that affects one’s performance at work or school which can damage relationships with friends and family, addiction is characterized by the inability to quit, or cut down on consumption. The difference is that someone that is abusing drugs or alcohol may be able to recognize their behavior and cut down without outside intervention or treatment, whereas someone suffering from addiction cannot. When is it time to get help for addiction? No longer able to control use. Loss of interest in other activities and obligations. Use of drugs and alcohol having serious financial ramifications. Stealing or engaging in other risky behavior to procure drugs or money for drugs. The dangers and ultimate consequences of not seeking treatment are very real. Millions suffer the effects of addiction, either their own or of others around them each year, and many more succumb to the illness. “An estimated 88,000 people die from alcohol related causes annually” in the United States. The CDC tallied more than 64,000 drug overdose related deaths in 2016. Up over 20,000 since 2010. From 2002 to 2015, opioid related overdoses increased by 280%. The number of babies born addicted to opioids reached 6 out of 1000 in 2013, triple that of 1999 numbers. Babies born to drug addicted mothers often have significant vision and development problems by six months. If your friend, family member or partner is exhibiting behavior characteristic of addiction, it can be really hard to broach the subject with them, especially if the person is unwilling to stop or even acknowledge that they have a problem. The fact that they are often under the influence of substances only exacerbates the difficulty. Picking the right time and place to bring it up is an important decision and can determine whether the person agrees to get help, or responds negatively to your pleas. Alcohol and drug use can cause people to behave erratically, and even violently, if they hear something that they do not want to hear. Spontaneously confronting someone about their addiction can backfire, result in violent encounters and precipitate more drug and alcohol abuse. The best approach is to gather support and plan an intervention. Planning. The initiator of the intervention should speak to family or friends that they think would be willing to contribute and participate. Next, it is highly recommended that they seek the advice and expertise of a qualified counselor or addiction specialist to ensure that the intervention is staged in a manner that best ensures a positive outcome. Collating information. Members of the intervention group get together and discuss the addiction sufferer’s problem, the extent of their drug or alcohol use, and how their use has affected them personally. Steps may be made to contact a treatment center. Forming a group. Now it’s time to decide who will participate in the actual intervention. It isn’t necessary for everyone involved in the planning of the intervention to take part in the actual event. If someone feels that their presence could hurt the chances of the intervention being successful, or personally don’t feel comfortable or safe, that’s okay. Once it’s settled on who will be there, decide on which role(s) each group member will take. Agreeing on consequences and organizing thoughts and comments. Each member of the group should write down experiences they’ve had where the addict’s behavior hurt or harmed them, or times where they’ve witnessed the addict’s drug or alcohol abuse cause self-harm. Then everyone must come to an agreement on the consequences of their loved one refusing to accept help at the end of the intervention. Staging the intervention. It is important to lure the person to the site of the intervention without indicating what is about to take place. Optimally, the person will not actively be under the influence of drugs or alcohol, but depending on the severity of the problem, this may be difficult to achieve. Once the intervention is underway, each member will take turns confronting the person with their planned remarks and stories, followed by the agreed upon consequences they will take if the addict does not accept the terms. Do not make declarations that you cannot follow through with. Aftermath. The work of an intervention does not end after one has accepted treatment. Attempts at remain clean are most successful when those close to the person make a sincere effort in assisting their loved one stay the course. Attend counseling with them, or spend time doing activities that serve as alternatives to using drugs and alcohol. Those that suffer from a severe dependence to drugs and alcohol are encouraged to do a stint in an in-patient treatment center utilizing a step-by-step approach to detoxification and counseling towards a life without drugs or alcohol. However, there are alternative methods of treatment that have been known to work for some. Best to know the options before deciding what is right for you or your loved one. Anyone with a severe dependence on drugs and alcohol is best served by completing a four week inpatient program. Living in a controlled environment where the patient undergoes a step-by-step process that best ensures that they successfully detox from their drug of choice and participate in counseling that prepares them for a life after addiction. Not all drug rehabilitation centers are created equally, however, and making the decision to check into one requires a bit of research, either for the patient himself or loved ones involved in the process. There’s a wide variance in pricing, from relatively affordable centers to those available only to the rich and famous. What’s more, certain rehabs cater to specific age groups, genders, and lifestyles. Methodology can change from center to center, as well, even if the basic elements remain in place. Let’s take a look at the details. A thirty day stay in a drug treatment center can range from $2000 at a publicly funded center to as much as $90,000 at the high end, resort-like centers in exotic locations with large swimming pools frequented by wealthy celebrities. The median fee typically falls between $20,000 to $30,000, although depending on the patient’s insurance, this cost can be significantly reduced. Many major insurance carriers, including Aetna and Blue Cross Blue Shield, will provide full or partial coverage, depending on the facility. Alcoholics and drug addicts often lack the funds to cover the considerable expense of an inpatient treatment center, or lack health insurance. For those in this category, a state-funded rehab that uses government money to pay for its services is the best--and sometimes only--option. While a stay of 28-30 days is the most common period of inpatient treatment, the amount of time necessary for recovery can vary greatly depending on the needs of the person. At the short end, there are those that stay just five days to a week in order to detox and clear their heads. On the other end, patients or their loved ones may feel they require a much longer stay in order to build the healthy habits necessary in order to maintain a life of sobriety on the outside. Extended in-patient programs can range from 60 days to as long as six months. Certain rehab centers offer regimented and specific schedules, whereas others allow patients to stay for as long as they feel is appropriate. The time that one spends at a rehab facility depends on the severity of the addiction and the resources available to the individual. Though, one thing is for certain: there is no such thing as an overstaying at an in-patient program. The recovery process is a vital time for healing and should not be rushed. Before a patient can begin their stay at a treatment center, the person must undergo a detoxification process to rid themselves of the physical dependency to the drug. According to recovery.org, medically supervised detox is highly recommended for those dependent on alcohol, benzodiazepine or opiates as withdrawal from these drugs can be physically taxing or even fatal. However, this type of monitored detox is not always necessary and the process can even be done in an outpatient situation. Once the detox is finished, the patient may move into the treatment center to begin the program. Inpatient treatment centers use a combination of therapy and (if necessary) pharmaceutical treatment to help a patient recover from addiction. Rehabs.com states that the most often used form of therapy is behavioral therapy, a three-pronged approach of individual, family, and group therapy. Patients will often have a highly regimented schedule of various therapy sessions, along with time for recreation, exercise and other activities. High-end facilities offer services that are nearly indistinguishable from those of a resort or spa, including massage, aromatherapy, acupuncture, and golf. A majority of treatment centers will have no limit on how long one can stay, as long as the checks clear. Nor do they disallow anyone from leaving early; part of the recovery process is the feeling of willing participation. After four weeks (or however long is necessary), the patient receives clearance from the team of professionals, and if they feel ready, they can move out and carry on their recovery in the outside world. Twelve-step programs are an age old method of recovering from addiction and other compulsive behavior based on a set of guidelines first meted out in the book Alcoholics Anonymous: The Story of How More Than One Hundred Men Have Recovered from Alcoholism (1939). Alcoholics Anonymous (the first twelve-step program) and others of its ilk work by urging the addiction sufferer to admit that they are powerless over a substance or dangerous behavior, and can only begin recovery through acceptance of a higher power, followed by making amends to those they harmed while in the throes of addiction. Twelve-step programs remain highly popular as a means of addiction treatment, despite the fact that the American Society of Medicine found that only around 10% of people that participate in them recover. Though, other publications and studies report much higher success rates. In the 21st century, many experts find twelve-step programs to be an outdated and anachronistic method of treatment for addiction. The heavy focus on spirituality and religion (7 of the 12 steps mention a higher power) and severe attitude towards those who relapse has drawn criticism from psychologists and addiction experts. As detailed in this Atlantic article, those in the field are more likely to recommend a personalized approach to treatment that caters to the specific needs of the patient, rather than the catch-all approach of AA and other twelve-step programs. Due to the fact that alcohol abuse and dependence is a sliding scale, and is often coupled with other mental disorders, different treatment regimens work for different people. Nowadays, medication is often prescribed in tandem with therapy and has been shown to increase the likelihood of success. For certain drugs that result in strong physical dependence, particularly opioids and alcohol, medications are frequently used in conjunction with therapy in addiction treatment. Methadone maintenance therapy (MMT) has long been used to treat severe heroin and opioid addiction, both in treatment centers and specialized clinics. Methadone is a mild opioid without the strong euphoric properties and risk of overuse characteristic of heroin (particularly since it is administered in a controlled setting). It is taken orally rather than intravenously, lessening the likelihood of abuse and overdose. A study by the Malaysian Journal of Medical Sciences offers proof that MMT is successful in combating severe heroin and opiate addiction, as well as in decreasing the likelihood of patients engaging in risky behavior such as needle sharing. Yet, methadone comes with its own risks, accounting for 3,301 deaths in the US in 2015. In 2002, Suboxone (a mixture of buprenorphine and naloxone) was approved by the FDA in the treatment of opioid dependence. This drug does not activate the opioid receptors in the brain to the degree of heroin or methadone, so its effects come on moderately and reach a steady plateau. This makes it easy for patients to wean off the drug without experiencing significant withdrawal symptoms. A number of drugs are prescribed in conjunction with or in lieu of inpatient or outpatient programs for treatment of alcohol addiction. Despite not being as well-known as twelve-step programs, their use is increasing, and doctors claim they are safe and often effective medications. Antabuse (disulfiram) is the oldest drug on the market prescribed to curb cravings for alcohol. It acts by inhibiting the action of an enzyme active in processing alcohol, resulting in unpleasant hangover effects immediately after a small amount of alcohol is consumed. Naltrexone is a much newer drug on the market that is used to manage alcohol abuse by blocking the positive effects of alcohol, lowering the person’s desire to continue drinking. The drug has also been used in the treatment of opioid dependency. Acamprosate is the newest drug available for treating alcohol dependence. It works in a similar manner to naltrexone by reducing the positive reinforcement effects associated with drinking, while curbing withdrawal symptoms. It is most effective when used in conjunction with counseling. In addition to FDA-approved and time-honored methods of treating addiction and dependence such as inpatient centers, twelve-step programs and pharmaceuticals, there are a handful of alternatives that haven’t had a lot of clinical research done on them, but have proven effective for many. Ibogaine is a psychoactive drug found and used in traditional ceremonies in Central Africa. The drug puts the user in a hallucinogenic state for up to thirty hours. According to American Addiction Centers, ibogaine is converted into a compound called noribogaine when ingested, attacking and rewiring areas of the brain responsible for addictive behavior. It is claimed that Ibogaine eases withdrawal symptoms and cravings for a host of drugs, including alcohol, opiates, methamphetamine, and others. There has not been a lot of clinical study done on the efficacy of ibogaine in treating addiction and the drug is illegal in the United States. Those hoping to try ibogaine to quell their addiction must go visit a treatment center in Canada or elsewhere. A strong hallucinogen usually administered in a tea, ayahuasca has been claimed to be an effective treatment for drug addiction. Said to work in a similar fashion as ibogaine by “rewiring” the brain’s addiction and pleasure centers, ayahuasca trips are intense, and occasionally traumatic experiences. There are first-person testimonials praising its use in treating addiction, though there is little clinical research available on its use in this fashion. Like, ibogaine, the drug is illegal in the U.S., spurring many take trips to countries in South America home to shaman-run ayahuasca retreats. Kratom is an herb derived from the leaves of a Southeast Asian tree with both opiate and stimulant-like properties. It is available for purchase in various concentrations in the United States on the internet and at head shops. Used in traditional medicine for at least 200 years, it has recently caught on as a substitute for opioids in treating chronic pain as well as a method of cutting down or quitting heavy opioids or heroin. In fact, a recent survey found that around 70% of those using kratom were doing so for this purpose. Again, like other substances on this list, little official research on its effectiveness exists at this time, and it carries its own risk of abuse, but many swear by it. For those that have exhausted other approaches, or aren’t ready to invest in a rehab stay, it’s worth a shot. With the nation suffering at the hands of an opioid epidemic, many are turning to alternative sources to combat their pain and treat their dependence on dangerous drugs. With the increase in states legalizing or decriminalizing cannabis use for medicinal and recreation purposes, many find the drug to be an effective and less habit-forming alternative. CBD (cannabidiol) is a derivative of cannabis lacking the euphoric effects of THC that is proven to block opioid receptors in the brain, and many have begun to use it for this purpose. Rapid detox is a process combining heavy sedation and the administration of certain drugs to rapidly detox a patient, ridding them of opioid dependence and withdrawal symptoms within a matter of days. However, the treatment has resulted in a number of fatalities and the medical world at large has concluded that it just isn’t safe. Use of this treatment has been discouraged and it is no longer widely practiced. Quitting “cold turkey” refers to quitting a substance without pharmaceutical or therapeutic assistance. It is still occasionally recommended as a means of quitting smoking, but for heavier drugs, the practice has a low success rate and is not encouraged. Daily meditation has been shown to rewire the brain’s neural connections, and is a great component in a well-rounded approach to treating addiction, but should be used in combination with other methods of treatment. Drug and alcohol are not the only types of addiction people in the United States suffer from. In fact, more people than ever are afflicted with food addiction or some related disorder. In 2017, obesity and related conditions became the number one cause of preventable death in the country. It may not be as easy to recognize the effects of food addiction and overeating as easy as in certain types of drug addiction, but like any other form of addiction, the consequences of food addiction can be serious and life threatening. The Eating Recovery Center is the best online resource for those suffering from food addiction and other eating disorders. They’ll help you identify your problematic behavior and direct you to the type of care you need, or a specific treatment center, if necessary. How many people require addiction treatment in the United States? According to the latest data from the SAMHSA conducted National Survey on Drug Use and Health (NSDUH), around 21 million people over the age of 12 required treatment for substance abuse in 2016. However, only 3.8 million people in that age group (1.4% of the population) actually received some form of treatment. 2.2 million received treatment in a specialty facility (i.e. inpatient rehab center). Of those categorized by the NSDUH as “needing” treatment (those diagnosed with a substance abuse disorder), only about 10% sought treatment in a specialty facility. How successful are treatment centers? 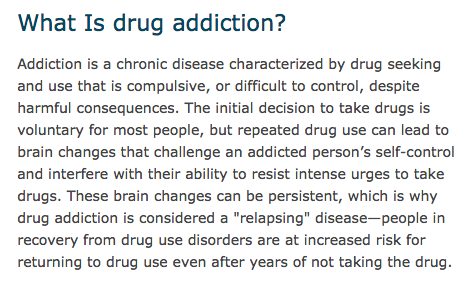 What is the relapse rate? It’s difficult to arrive at a precise number regarding relapses, but the NIDA reports that 40% to 60% of those that undergo treatment for drug and alcohol addiction experience some type of relapse. Relapsing is not a death sentence: recovering from addiction is a lifetime struggle and one should not give up in the face of a one-time or temporary slip-up. How many treatment centers are there in the U.S., per state? The 2017 National Survey of Substance Abuse Treatment Services reports that there are 14,166 total treatment facilities in the United States. Of these, around 8,000 are private non-profit centers, 4,000 for-profit facilities and over 2,000 state sponsored centers financed by state or federal agencies. However, only 20% of these are inpatient treatment centers, with the rest being outpatient and serving the great majority of those seeking treatment. What are the top rehab centers in the U.S.? Rehabs.com has a list of the top rehab centers in the United States. The ratings are based on overall success rate and a number of other criteria. How much does the government spend on drug treatment? According to the latest 2018 budget report, the federal government spend $9.85 billion on drug abuse treatment in 2016, which is 36.6% percent of the total spent on “drug control” in that fiscal year. This nearly matches the $9.28 spent on domestic law enforcement of drug laws. A further $1.49 billion was spent on drug use prevention. For those that have completed a treatment program but still feel they need additional support in their daily lives, there are sober living homes. Sober living homes are different than rehabs in that inhabitants are free to come and go as they wish, pay rent, and buy food for themselves. There are certain conditions for living in these homes. Residents must lead a sober life, never bring intoxicants into the premises and agree to occasional drug tests. Some homes may require residents to attend regular twelve-step meetings in order to stay. Overall, sober living homes are a great means for recovering addicts and alcoholics to ease back into normal life. SMART is a support program for recovering addicts that serves as a popular alternative to traditional twelve-step programs. It specializes in helping recovering addicts in the long term management of cravings and desires. In contrast to the twelve-step programs’ central ethos of confessing powerlessness, SMART’s 4-point program focuses on empowerment and building strength and motivation. Even when recovering addicts do their best to stay on track and remain sober, relapses can and do happen. The NIDA estimates that 40% to 60% of recovering addicts and alcoholics will experience one or more periods of relapse. 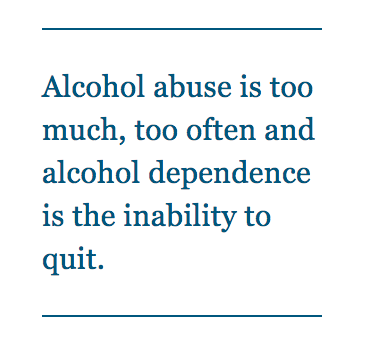 Yet, a relapse does not mean that all the work towards living a sober life has been negated. Recovery is a continual process and a relapse is only a temporary setback. Addictioncenter.com has a useful page on what to do in case of relapse. They suggest that continuous relapses indicate the need for a person to admit themselves back into an inpatient treatment program. Relapsing also suggests certain behavioral or mental health issues at the core of the substance abuse have not been dealt with. Often, cognitive behavioral therapy can help patients to analyze and eliminate the kind of thinking that leads to bad decisions and substance abuse. Al-Anon and Alateen are associated programs offering support to friends and family members of persons suffering from drug and alcohol addiction. The group isn’t focused on getting help for addicts, but rather for assisting those that have lived with or around those with a problem. Local chapters worldwide regularly hold meetings where small groups (no more than twenty-five) can discuss the traumas associated with living with alcoholics and addicts. The best website for finding a rehab facility that will work for you or your loved one. Their expansive database has treatment centers in all fifty states that offer treatment and counseling for all manner of addictions, including alcohol, opioids, cocaine, and others. They also offer advice on the steps to take when you feel it is time to seek treatment. The website for two of the most trusted and long running treatment centers in the United States, Hazelden and the Betty Ford Center, that combined in 2014. Together, Hazelden Betty Ford is the largest non-profit treatment organization in the nation. The site is a source of information for all aspects of addiction. They provide help and resources for families, including how to recognize when someone close to you is suffering from addiction. For those seeking treatment at one of their many inpatient and outpatient centers, the site is easy to use and quite useful. Another great online resource providing educational material on recognizing abuse and addiction, 24/7 online counseling and online admission for all of the treatment centers affiliated with American Addiction Centers. The website for the National Institute on Drug Abuse. A top source for all of the latest drug abuse and addiction related clinical studies and statistics. Provides resources for those looking for treatment, as well as those interested in participating in a study. A family of associated of treatment centers focused on treating alcohol, drug and food addiction with information and guidance on how to join one of their many facilities all over the U.S.
A harrowing collection of short stories centered on the misadventures of an unnamed narrator and a collection of hard drinking, drug addled misfits. Jesus’ Son perfectly captures the feelings of hopelessness and frozen time characteristic of addiction. Johnson, who died in 2017, spent his twenties as a drug addict and alcoholic before getting clean and devoting his life to writing acclaimed novels and short stories. Hepola’s memoir recounts her years attempting to balance her life as a successful writer in Manhattan with an all consuming desire for nightlife and alcohol. She often drinks to the point of blackout, finding herself in dangerous situations and waking up in strange places with no memory of the night before. An unflinching and relatable memoir for anyone who has struggled with abuse and addiction. A massive, sprawling tome of over 1,000 pages. What gets lost in the discussion of DFW’s opus is the fact that it contains some of the rawest, uncensored and life-like depictions of drug addiction and life in treatment facilities found in fiction. A free and confidential information service open all hours of the day, every day of the year, SAMHSA’s helpline specializing in transferring addicts to local support services so they can find the treatment they need. Another toll-free 24 hour hotline that specializes in counseling alcoholics in finding appropriate treatment. Reddit’s active addiction message board. An excellent source for addicts and recovering addicts of all stripes to seek advice and share stories of addiction and recovery. A fairly active board for those to share their stories of drug abuse and seeking treatment. The message board is broken up to separate sections for each particular drug and includes a board for other non alcohol or drug related addictions and one for family members of addicts. A large online community of over 150K engaging in discussion in an extensive number of forums covering a broad number of topics related to addiction. Members of the community can seek advice, debate the best methods of treatment, tell jokes and anecdotes related to addiction and recovery, and much more. SoberTool is an app available for iOS and Android that allows you to mark the days since you’ve been clean and sober, as well as keep track of the estimated money you’ve saved by not buying drugs and alcohol. Nomo is a useful multifaceted app for recovering addictions that, in addition to tracking your sobriety and money saved, allows you to get in touch with other users to build your own support group and grants awards for reaching milestones. Nomo boasts over 100,000 users and is rapidly growing. The first FDA approved app for treatment of addiction (or any disease) developed by Pear Therapeutics, Pear reSET is unique in that the app is only available via prescription. The app is a comprehensive, personally specialized 12 week program with lessons and regular check-ins. Meditation is a great practice and an effective means of treating the cravings and depressive moods that come along with recovery. An app is a great way to track your meditation progress, and Headspace is one of the most popular. After a ten day free trial, membership to the app costs $7.99 a month. Headspace offers guided and issue-specific meditations.